Following a healthy diet in the senior years can be difficult, but the results are almost always going to be worth it. Sticking to a plant-based diet reduces the risk of many health conditions, including high blood pressure, high cholesterol, heart disease, type 2 diabetes, obesity, and various forms of cancer. 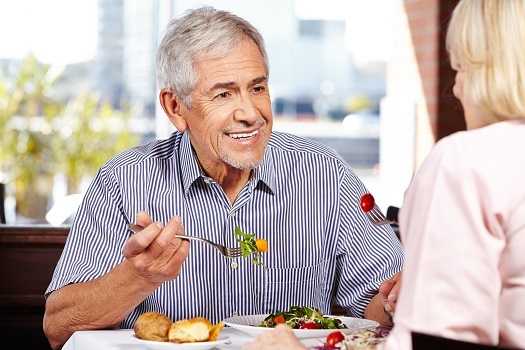 Here are a few tips for older adults who want to follow a plant-based diet. Protein is absolutely vital to a senior’s health, and many people who follow a plant-based diet don’t get enough of this macronutrient. That being said, your loved one won’t have to worry about developing a protein deficiency as long as he or she is diligent about eating the right foods. In addition to consuming leafy green vegetables like spinach and bok choy, your loved one should also eat dishes that contain protein-rich legumes, seeds, nuts, and grains. If your loved one finds it challenging to choose healthy foods at the grocery store and cook nutritious meals at home, a professional caregiver can help with these tasks and much more. The homecare services Barrie, Ontario, seniors need can vary. Some need assistance a few hours a day, while others require more extensive around-the-clock assistance. At Home Care Assistance, we tailor our care plans based on each senior’s individual care needs, and the plans can be adjusted at any time. Eating the same few flavors every day could become monotonous, which is why many vegans and vegetarians try out herbs and spices from around the world. Adding a new spice to your loved one’s favorite grain or salad dressing completely changes the flavor profile of the dish. Many of those herbs and spices also provide antioxidants and phytonutrients. One of the most effective ways to add more nutrients to the diet is to drink one or two homemade smoothies every day. A single smoothie could contain multiple servings of fruits and vegetables, and they’re very easy to make after getting used to the process. If your loved one finds smoothies bland or unappetizing, try adding some ginger, honey, or pineapple. Smoothies can also be made creamier and thicker with frozen bananas. Sticking to a plant-based diet can be challenging if the kitchen is filled with unhealthy snacks and treats. By preparing snacks and meals at the start of the week, your loved one may be more inclined to eat healthy foods at home. Seniors who have a difficult time cooking their own meals might want to sign up for a meal delivery service that offers plant-based dishes. If your senior loved one has been diagnosed with a serious condition and needs help with tasks like meal prep, transportation, bathing, and grooming, reach out to Home Care Assistance, a leading provider of senior home care Barrie, ON, families can trust. We also offer comprehensive care for seniors with dementia, Alzheimer’s, and Parkinson’s. Switching to a plant-based diet overnight is difficult, which is why many experts suggest replacing a few unhealthy foods every week. During the first week of the new diet, your loved one might want to cut out sweet treats or sodas. The following week, he or she can replace chips and other fatty snacks with sliced vegetables or fresh fruit. By slowly phasing out unhealthy foods, it will be much easier to stick to a plant-based diet. Following a plant-based diet is just one of many tactics to prevent severe health issues in the golden years. Living with a serious health condition can make it challenging for seniors to age in place. However, they can maintain a higher quality of life with the help of professional live-in care. Barrie, Ontario, seniors can benefit from assistance with meal prep, bathing, transportation to the doctor’s office, medication reminders, and much more. Call Home Care Assistance today at 705-503-2273 to schedule a free consultation and learn more about our high-quality home care.